After seeing the apple pie with a cheese crust idea at Grill on the Corner recently, and sampling it, I wanted to try making something similar myself. 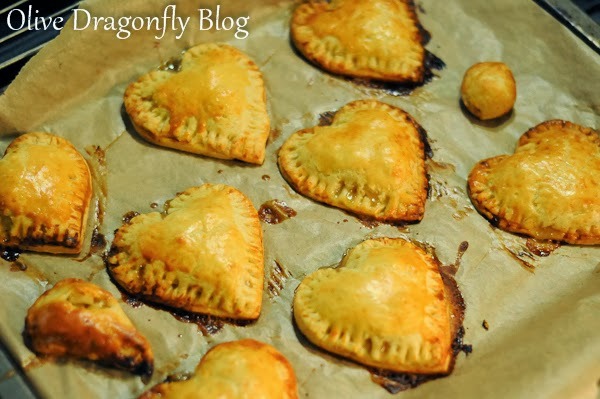 I also needed a Valentine's based baking recipe for this month's Glasgow Baking Club meeting so I thought I'd make the idea into little heart shaped hand pies like these nutella ones I spotted on Pinterest. 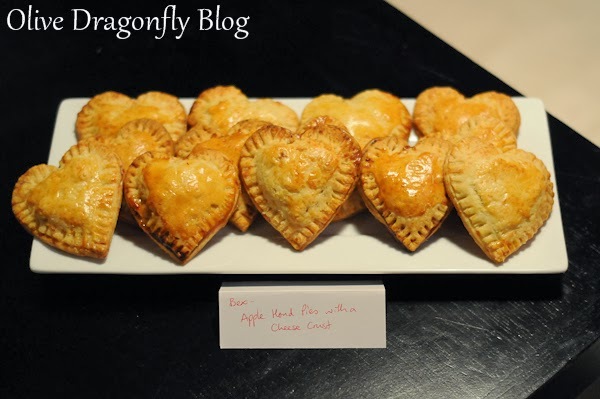 I googled looking for various apple pie and cheese pastry recipes and again combined elements from a few to make this one. Process flour, sugar, and salt in a food processor. Add butter; pulse until pea-size lumps appear. Pulse in cheese. With the processor running, add ice water; process just until dough comes together. 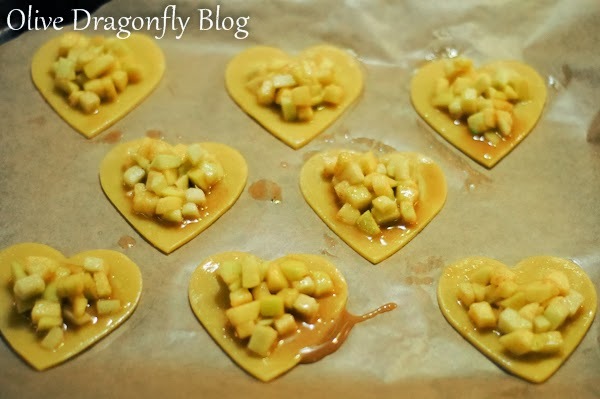 Cut out heart shapes with a cookie cutter and store in the fridge while preparing the apple filling. Preheat the oven to 190°C/180°C fan. Line 2 baking sheets with parchment paper. Mix all of the filling ingredients together in a large bowl. 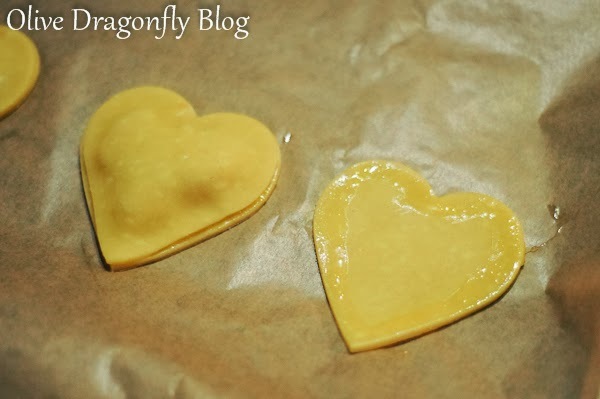 Brush the edges of the pastry hearts with the egg and place 1 spoonful of the apple filling on each one. Place another heart on top and seal. Brush the tops with an egg wash and bake until golden and crisp, about 20 minutes, rotating the pans halfway through. 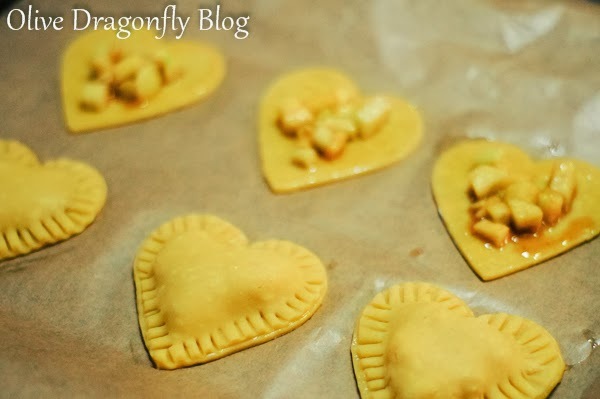 I made the pastry the day before so it was easy to make the filling, assemble and bake them after work. Pin it do it is back!